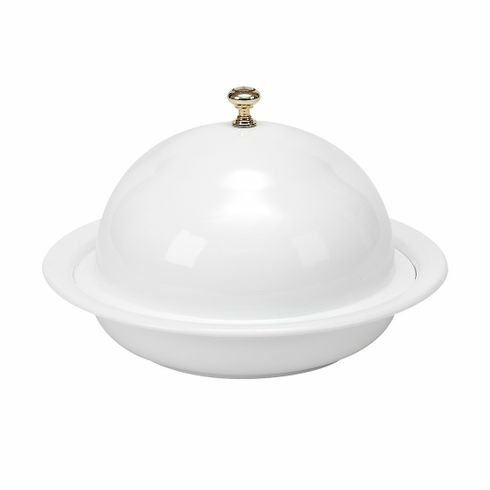 Designed in California made in Turkey, beautiful 9” round covered bowl with gold handle has a distinctive look of French Provence. Made of steel porcelain coated finish. Elegant dining and easy living make this perfect for indoor or outdoor use.